Royal Lake Suites with its amazing and unique interiors, provides a pleasant stay to all of the guests. Designed artistically, the rooms have modern and appealing interiors with abstract paintings, light wooden furniture, designer ceiling, and bright cushions. 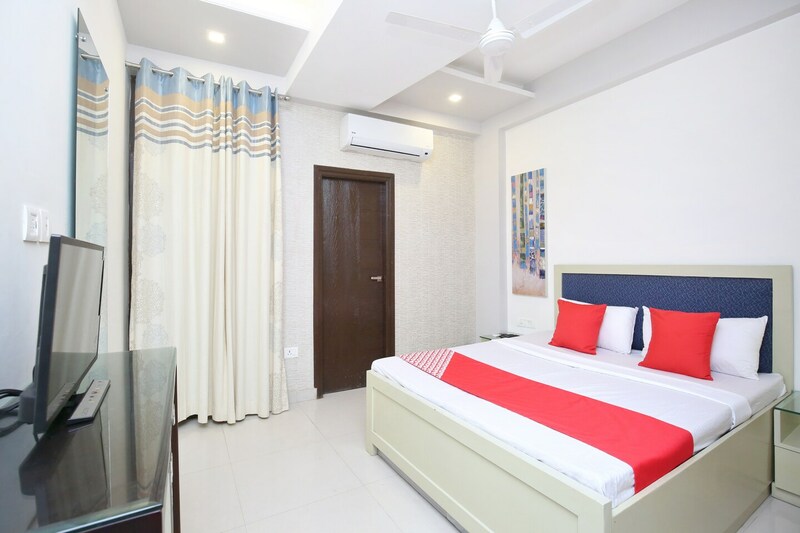 Immaculate and brightly lit with ceiling LED lights, the rooms are fully furnished with essential amenities that are sufficient for a comfortable stay. You can book your rooms without using cash as card payment is available here. Other facilities provided by the hotel are parking facility for the security of your vehicles, seating area, free Wi-Fi connectivity, and CCTV surveillance for ensuring your safety while your stay.